Under California workers compensation law, it is unlawful to discriminate against an employee for getting hurt at work and claiming workers compensation benefits. Those employers who terminate an employee for claiming workers compensation benefits can be sued for the discriminatory act. The provision of the Labor Code that covers wrongful termination of employees for reporting work related injuries is Section 132a. Under Labor Code Section 132a, an employee can increase his or her workers compensation benefits as well as receive other remedies as provided in that section in the event the Section is violated by the employer. Keep in mind that Section 132a is extremely are rarely easy to prove because the employer usually puts forth some excuse to terminate the injured employee. Thus, it is often difficult to prove the motive of the employer. The most important way to protect oneself against wrongful termination under workers compensation law is to hire a work comp attorney. Once a California workers compensation lawyer enters the claims process on the injured workers behalf, the employer is generally less likely to engage in discriminatory conduct. In general, most discriminatory conduct occurs prior to an attorney getting involved in the case. Unlike most provisions of the California workers compensation laws, insurance carriers are not required to insure employers against intention acts of discrimination. This means that any recover under Labor Code Section 132a for wrongful termination under workers comp law must be had directly from the employer. The workers compensation insurance company generally will not pay increased compensation or other damages to the employer for a Labor Code Section 132a violation. Nevertheless, many times an insurance company will provide additional compensation in a settlement negotiation to get a release from the employee for any Labor Code 132a violations for the sake of the insurance company’s relationship with their client, the employer. In situations where an employee has been terminated, whether wrongfully or for good cause, claiming workers compensation benefits can be difficult. Under Labor Code 3600(a)(10), workers compensation claims filed following termination are completely barred, meaning the law says that the injured worker cannot recover benefits. There are exceptions to this rule, including where the employee reports the injury prior to termination or obtains medical documentation that the injured occurred prior to termination. Another exception is where the injured worker was unaware of their injury until after termination such as cases of toxic exposure or in limited cases repetitive work injuries that do not surface for several months. 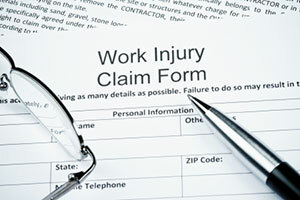 If you are trying to claim benefits subsequent to a termination of any kind, you will need to hire a workers compensation attorney because it is almost guaranteed that the insurance company will deny your claim, regardless of prior reporting to your employer or medical documentation of your injury prior to termination. In the event you believe you were let go from your job due to discrimination not involving a work related injury and you want to claim workers compensation benefits, your situation will likely involve two lawyers. One for workers compensation and one for unlawful termination under other California law. When deciding on a workers compensation attorney in such a situation, make sure you pick an attorney who will be vigilant to protect your rights in both cases. This will require an attorney who is familiar with California employment law and who will take the time and care with your case necessary to protect all of your rights. Workers compensation lawyer Alexander Napolin serves those in need of workers compensation claim help in the Inland Empire. If you have been wrongfully terminated and want to claim workers compensation benefits, Mr. Napolin is the type of attorney who is going to protect your rights and fight for maximum compensation on your claim. You can count on Mr. Napolin to give you an honest assessment of your claim and a holistic and well-rounded approach to your situation. You can call Mr. Napolin at any time by dialing 1 (909) 325-6032 and he will provide you with a free legal consultation. If you prefer, you can also submit a case evaluation request form at www.WorkersCompAttorneyIE.com and Mr. Napolin will give you a call back as soon as he receives your submission. All consultations are confidential and obligation free. Do not hesitate to learn your workers compensation rights following termination. 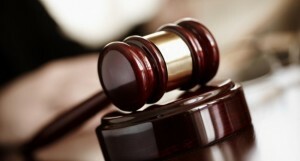 Mr. Napolin has had success obtaining six figure settlements on post termination workers compensation claims!